Samsung Galaxy Tab, iPad Rival? We knew that Samsung Galaxy Tablet which operates on Google's Andriod platform is going to available this year but there is no pricing and availability info till now. It looks like T-Mobile is offering Samsung Galaxy Tab at $399 with contract. For no-contract price, it will still cost you $649.99 and does seems a bit high. How about the data charges? Not much info on that either. Get more details here! 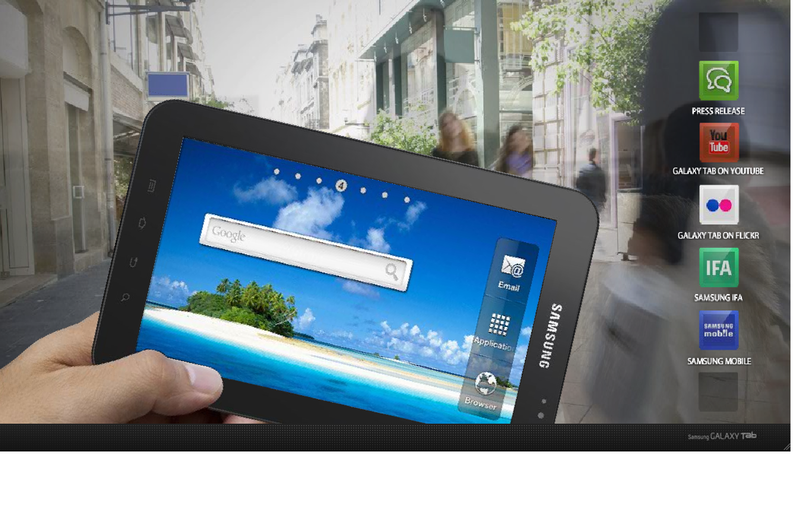 Samsung Galaxy Tab, iPad Rival? WoW! lots of ads in this blog . jimmy, definitely earns more than the "rotten" share holder. yah, the "rotten" shareholder lost quite a lot of money selling Creative shares at huge loss. That's why occasionally you see him back with a few wicked posts. Support this site!